The rise of the machines is something that has been the center of many a sci-fi dystopian epic, but do we really have to fear the proliferation of artificial intelligence now that it’s a reality? According to renowned futurist and director of engineering at Google Ray Kurzweil, the answer is no. The rise of automation will almost undoubtedly make many human jobs redundant but that’s no bad thing. And not the first time it’s happened either. 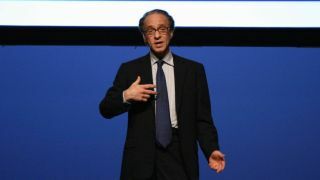 “We have already eliminated all jobs several times in human history,” Kurzweil told Fortune, “How many jobs circa 1900 exist today? If I were a prescient futurist in 1900, I would say, 'Okay, 38% of you work on farms; 25% of you work in factories. That’s two-thirds of the population. "Industries and concepts that don’t exist yet"
What’s slightly unsettling is that the career landscape is changing at the same pace as technological innovation. The go-to example of a ‘new job’ that highlights this is social media consultant. If you tried to explain the role of a social media consultant to someone 25 years ago, you would have to explain not only the job, but also what social media is, how that works on smartphones, what smartphones are, and on, and on. And that’s only 25 years ago. If Moore’s Law holds, and technological innovation doubles its progress every two years, the equivalent of a social media consultant role that we’re incapable of understanding will exist in 10 years, or potentially less. When we went to the TechXLR8 conference earlier in the year, a panel discussion on the future of employment focussed on the idea that the skills needed going forwards are 'softer' more feminine skills like "problem solving, creativity, the ability to negotiate, teamwork". The landscape ahead is unclear, and while some tech industry leaders like Elon Musk are warning of the dangers of AI, it's promising to hear others like Kurzweil come out to quell the fears of change. Want to know more about the rise of AI? Check out: What happens when our assistants are smarter than us?